The microgravity of space provides an ideal setting for experiments on bone loss. E	E	very three seconds, a person somewhere in the world breaks a bone due to osteoporosis — a progressive disease that decreases bone density, making bones weak and fragile. Osteoporotic fractures greatly reduce quality of life, and immobilization following a fracture can lead to further bone loss which puts these patients at risk for breaking another bone. When SpaceX CRS-11 launched to the space station last June, it carried 40 mice to the ISS National Lab for a mission aimed at improving treatment for the millions of people with osteoporosis back on Earth. The Rodent Research (RR)-5 mission successfully proved the robustness of a new potential osteoporosis therapy based on a naturally produced protein, NELL-1, and also led to significant improvements in the delivery of the therapy. Most current osteoporosis drugs only work to slow bone breakdown, not form new bone. A therapeutic approach using NELL-1 being developed by a group of researchers at the University of California, Los Angeles (UCLA) works both ways. NELL-1 has been shown to not only to help prevent further bone loss but also build new bone to replace what was lost. Such a therapy would be of tremendous benefit to patients with severe osteoporosis. To further evaluate the effectiveness of NELL-1, the UCLA team, led by principal investigator Chia Soo, tested its therapeutic use in mice onboard the ISS National Lab. Microgravity has been shown to induce accelerated bone loss in mice at rates that exceed those caused by either post-menopausal or disuse osteoporosis on Earth, making space an ideal environment to study osteoporosis therapies. NELL-1 is a protein made by the body, and its bone-forming effects were originally discovered more than 20 years ago by craniofacial orthodontist and RR-5 co-investigator Kang Ting. He had been examining children with a condition that causes an overgrowth of bone in the skull and wondered whether looking at gene expression in these patients could reveal a protein involved in bone growth. After screening millions of genes, Ting found one protein — NELL-1 — that was overexpressed in children with skull bone overgrowth, leading him to begin investigating NELL-1 as a bone-forming agent. Following results from an independent research group that linked the underexpression of NELL-1 in patients to low bone density, Ting and his UCLA colleagues found that mice lacking NELL-1 exhibit symptoms of osteoporosis as they age. In several animal models, the UCLA team was able to demonstrate the use of NELL-1 as a successful osteoporosis treatment; however, use of the protein as a therapy was possible only via local administration. In other words, the NELL-1 protein would have to be injected directly into a patient’s affected bone during surgery. To make NELL-1 more useful for patients with osteoporosis, the team needed to modify NELL-1 to administer it systemically. This type of therapy could be given as a quick injection under the skin to build bone throughout the body. As the UCLA researchers began working to modify NELL-1 for systemic use, they submitted a proposal to test the therapy in the microgravity environment on the ISS National Lab and were awarded a CASIS grant, which supported the RR-5 mission. Once modification of the molecule was complete, the team could launch their investigation to the space station. 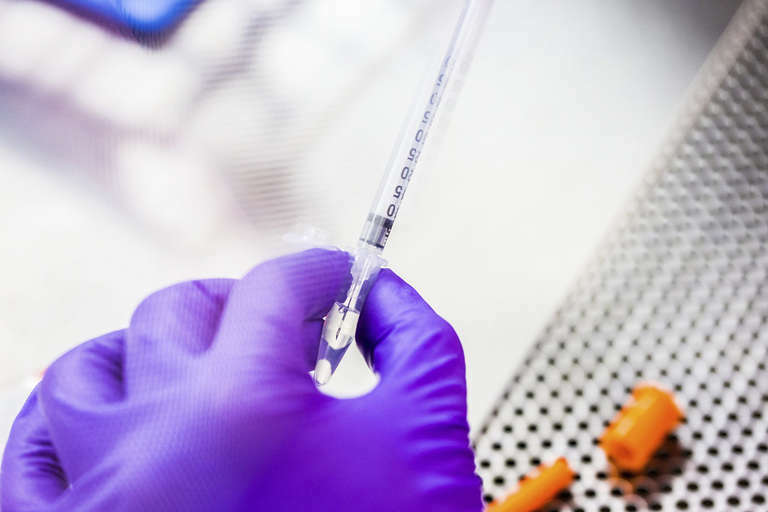 Developing NELL-1 into a systemic therapy that could be given as an injection every couple of weeks to build bone would greatly benefit patients; however, modifying the molecule to achieve this was no easy task. The team needed to find a way to keep the therapeutic protein molecules circulating in the blood long enough for NELL-1 to induce bone formation. The molecules also needed to be able to successfully and exclusively attach to bone tissue to be effective and safe. Additionally, ISS crew members have typically accessed mice on the space station once every 14 days, so the interval between injections had to be at least that long. Keeping NELL-1 in the bloodstream for such a long period was a tremendous challenge. Moreover, with such a long circulation time, the team needed to reduce any toxicity so that the therapy would be safe. With the help of Benjamin Wu, RR-5 co-investigator and former chairman of the UCLA Department of Bioengineering, the team modified NELL-1 using a method called PEGylation, which slows the rate at which molecules are degraded by the liver. This would keep NELL-1 circulating in the bloodstream longer. Then, to help NELL-1 find bone tissue, the team attached the protein to an inactive form of a bone-seeking molecule called bisphosphonate. The team tested the modified molecule, called BP-NELL-PEG, in a ground-based experiment using female mice whose ovaries had been surgically removed to induce osteoporosis. The team found that injection of the therapy into the abdomen of the mice once every 14 days was successful. 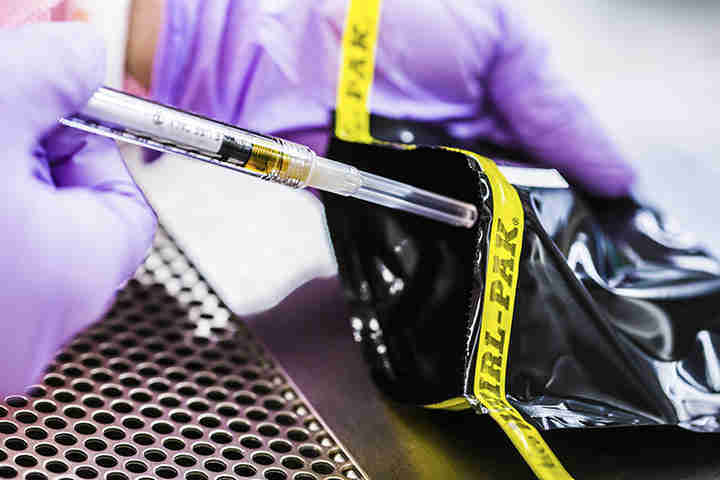 Developing the therapy with a 14-day injection interval was one of the greatest technical challenges the team faced, but successfully extending the dosing interval will also be a substantial benefit to patients, Kwak said. Patients would need fewer injections of BP-NELL-PEG compared with most current osteoporosis drugs. This would not only save extra trips to the doctor’s office, but also make the therapy more affordable. 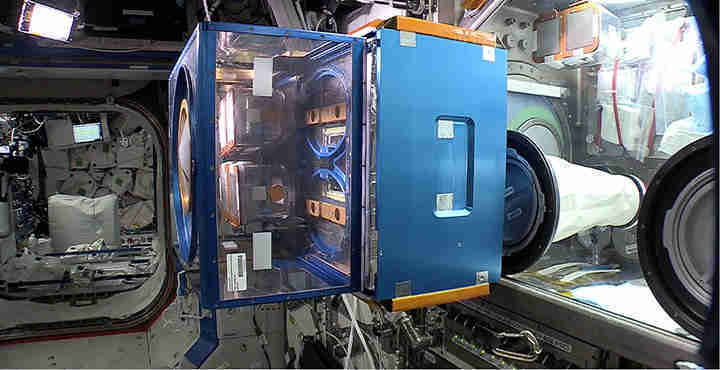 Having successfully optimized the molecule and achieved the 14-day injection interval necessary for rodent research on the space station, the team was now ready to test the systemic therapy in the extreme case of microgravity-induced bone loss. SpaceX CRS-11 launched to the space station last June with the RR-5 mission, carrying 40 female mice aged to 8 months, which is when they reach skeletal maturity. An additional 40 mice remained on the ground at NASA’s Kennedy Space Center as a control group. In both the flight and ground groups, half the mice received BP-NELL-PEG treatment and the other half did not. The RR-5 mission was unique in that halfway through the nine-week investigation, 20 mice in the flight group (10 receiving treatment and 10 not) were returned to Earth alive to complete the rest of the experiment on the ground at UCLA. The other 10 mice remained on the space station until the end of the investigation when they were sacrificed, and the frozen specimens were returned on SpaceX CRS-12. Many analyses can only be performed on live tissues and cells, so live return was important to the RR-5 team. When the SpaceX Dragon capsule splashed into the Pacific Ocean last July with the RR-5 live-return mice, the team was elated to find that all 20 mice were alive and healthy. The team also noticed that the fur of the mice was shiny within a day of live return to UCLA, meaning they had been grooming — an indication of contentment. The RR-5 team is still in the process of analyzing all the data, but preliminary results indicate the investigation was a success. Data from the hind limbs and vertebrae of the spaceflight mice showed significant bone loss from microgravity and a remarkable recovery by BP-NELL-PEG treatment. From here, the team plans to probe deeper into the molecular biology of the NELL-1 protein to gain a more detailed understanding of how the molecule works, while continuing to focus on the practical translational aspects of the therapy. Although modification and use of NELL-1 as a therapy has come far since its discovery more than 20 years ago, there’s still a long journey ahead before this treatment approach can be applied to humans, Ting said.